I had a hard time picking just three pictures from my trip to Scotland for the postcard I sent out. Here’s the story behind each of them. The big picture is at St Andrews. 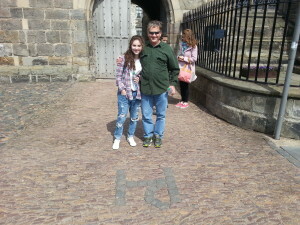 There’s a huge St Andrews cathedral built bearing his name. It is Kate’s and my favorite places we visited. Golf started in the town. The beach running scene in Chariots of Fire is also from there. It also was at the epicenter of the Scottish reformation. You can see on the ground the letter “PH”. At this place in 1528 Patrick Hamilton a protestant reformer was burned at the stake. John Knox, who’s known amongst Presbyterians also preached and ministered there. Here’s a fact for recent history …Kate and William first met for coffee at a shop we saw in St Andrews. 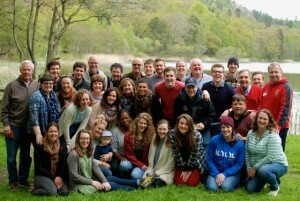 Here’s the picture of the UK staff for Young Life. What a great collection of people, wonderfully gifted and committed to the Great Commission. 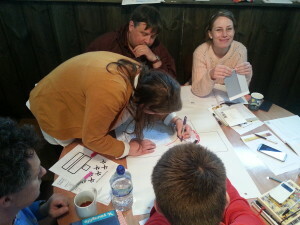 Pray for them this summer as they open up camp at Loch Monzievaird.